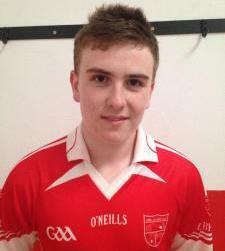 Young and talented defender, CiarÃ¡n Galvin is a student in DLS Macroom. This is his first year on the Junior panel & he has yet to make his debut. CiarÃ¡n's favourite food is pizza. His favourite movie is Step Brothers while his favourite pastime is spending time on the internet. CiarÃ¡n also enjoys cricket and martial arts. He considers his greatest sporting achievement to be winning the Under 12 D League against Kilmichael. His best club memories lie in Inchigeela Festivals, which take place in August, every year. 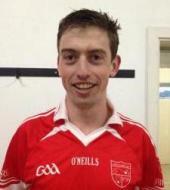 CiarÃ¡n considers Finbarr McSweeney Jnr to be among the best club players he has ever seen. If CiarÃ¡n could change one thing in GAA - he would introduce the mark rule for high fielding. When he was younger, he wanted to be his brother, Shane Galvin. The person he'd most like to meet is Will Ferrell, while he considers the best invention ever to be the internet. Marooned on a desert island, CiarÃ¡n could not be without his phone. You may not know this but CiarÃ¡n is secretly good at feeding calves.